Today's project features the Sale-A-Bration stamp set Happy Wishes. This is a huge set and is a level 2 option with a qualifying order in my online store. 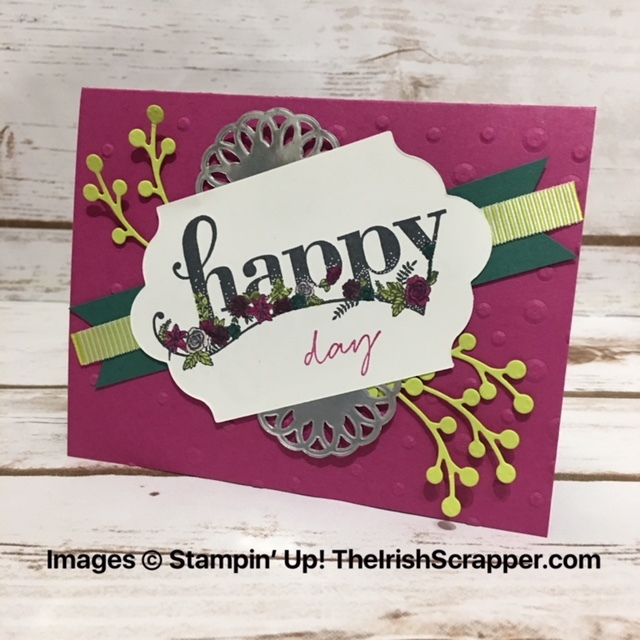 It has so many sentiments you can mix and match! 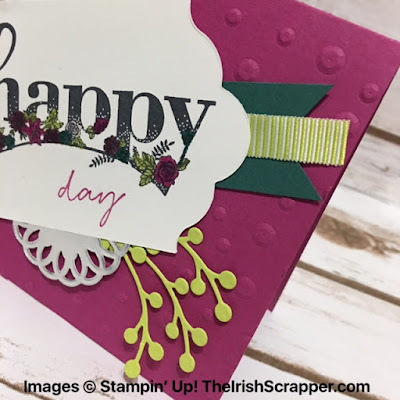 This card is packed full of texture. I embossed the card base with the Scattered Sequins Dynamic Embossing folder, added silver metallic foil doily and added some lemon lime twist flourishes. Lots of wonderful items at great prices!